It is truly a pleasure to be among the Members of the Security Council today, at this critical juncture on Afghanistanâ€™s path to peace and prosperity. I congratulate you on your assumption of the Presidency of the Council for the month of September, and convey our appreciation for Germanyâ€™s continual support and assistance for Afghanistan during its tenure on the Council. Let me also convey a warm welcome to my good friend and colleague the Special Representative of the Secretary General, Jan Kubis. We thank him for his clear presentation of the Secretary Generalâ€™s comprehensive report. We meet at an important time, when Afghanistan is transitioning confidently into a vibrant, self-reliant and sovereign nation; a nation that is increasingly taking full charge of its destiny. The Afghan people are inspired by the prospect of a future free from violence and war. And thanks to our joint efforts, important progress towards that endeavor continues. As we speak, Afghanistan has surpassed the halfway point on our transition to full security responsibility. With the commencement of the third tranche of security transition in May, 75% of the country will be under Afghan security responsibility by the end of November.Â Our progress is on track to complete security transition by the end of 2013. The Afghan army and police are showing more resilience and effectiveness, as they take on more responsibility in meeting the countryâ€™s security needs. Needless to say, sustainability of the ANSF is inextricably linked to the international communityâ€™s long-term support.Â The outcome of the recent Chicago NATO Summit was a clear manifestation of our international partnersâ€™ resolute commitment to a strong and effective Afghan national security force. We also welcome NATOâ€™s decision to develop a new â€œtraining, advising and assistanceâ€ role, which will take effect in 2014, and look forward to working with our relevant partners on the scope and mandate of the new mission. The Afghan people are encouraged by the international communityâ€™s assurance to helping them secure peace and prosperity throughout transition, and the Transformation decade (2015-2024). In this regard, commitments made at the Bonn Conference last year, the NATO Summit this past May, and more recently, at the Tokyo Conference in July are crucial for our long-term success. 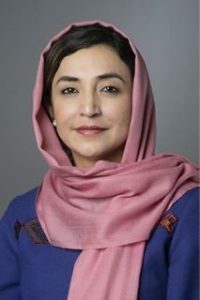 The Tokyo Conference marked the beginning of a new relationship between Afghanistan and our international friends; one based on a result oriented cooperation, to be conducted within the â€œmutual accountability framework.â€ We expect the international community to meet its commitment in channeling assistance through our core-budget, and aligning its aid with the Afghan National Priority Programme. Combating corruption, strengthening governance, and consolidating the rule of law will remain key priorities for us. President Karzaiâ€™s decree of July of this year is a significant step forward in our counter-corruption efforts. And it will be implemented by clear and time-bound measures by all Government Ministries, agencies and departments towards full accountability and transparency. Afghanistan is regaining its legitimate place in the region and the world, through playing an active role within the neighborhood and international community. Our multilateral agreements and strategic partnerships involve long-term commitments between Afghanistan and our international partners. The partnerships we have formed, both within our neighborhood and beyond, are essential to preserving the historic achievements of Afghanistanâ€™s young democracy and securing the future peace and stability of the country. Thus far, we have concluded strategic, long-term partnership agreements with United States of America, India, China, Germany, France, Italy, the United Kingdom and Australia. We see these partnerships as the key for our collective fight against the twin menaces of terrorism and extremism and for our future peace and stability through supporting our evolving national ownership. As we continue our transition, with bold steps toward strengthening Afghan sovereignty and national ownership, the enemies of Afghanistan continue to make desperate attempts to undermine our progress towards a brighter future. Terrorist attacks have been increasingly inflicted on families and innocent Afghan men, women and children in many parts of the country, putting a brutal and tragic halt to their peaceful lives. Undoubtedly, the unremitting violence plaguing Afghanistan is the result of the continued military, financial and ideological support enjoyed by terrorists, and the presence of sanctuaries and safe-havens outside our borders. While the fight against terrorism will continue, the next few years of the political and security transition are vital for a stable future for Afghanistan. We are working diligently to ensure a fruitful result of peace and reconciliation efforts underway. Our inclusive peace and reconciliation process seeks to build trust and confidence among all Afghans. We are determined to bring to the folds of society those elements of the armed opposition willing to renounce violence, cut ties with terrorist groups, and accept the Afghan constitution. The High Peace Council has revitalized its approach to reconciliation efforts. The international community and our region have an important part to play. 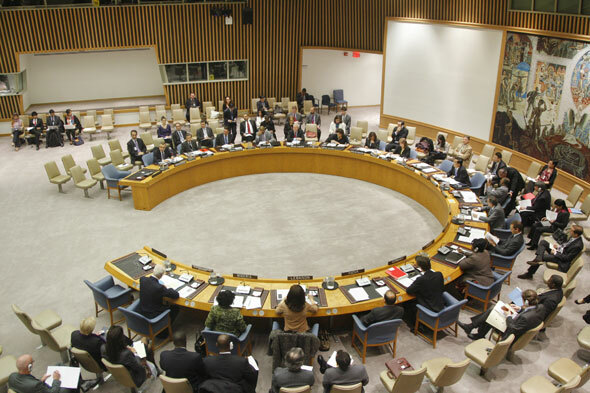 The role of the UN Security Council will be imperative to this process. We thank the Council for its support of our reconciliation efforts by meeting delisting requests, which we have presented. By the same token, we hope the new mandate of the Taliban sanctions committee will entail required adjustments, in recognition of the importance of an Afghan-owned and Afghan-led peace and reconciliation process â€“ so that the sanctions regime is more responsive and flexible and used in an even more effective, positive way to encourage those willing to join this process. Therefore, we look forward to working closely with the Council members to amend the resolution in a way that further benefits and accelerates the Afghan peace process. The violence in Afghanistan has had a drastic effect on the security and well-being of our citizens. We express our serious concern about the growing number of civilian casualties in Afghanistan â€“ the majority of which are caused by the Taliban and other extremist groups. Meanwhile, loss of innocent life and harm to populations has also occurred in the course of NATO operations. The loss of even one innocent life is one too many. We underscore, yet again, the need to exert all measures necessary to protect civilian populations. The greatest challenges to peace and stability in Afghanistan, such as terrorism, extremism, and narcotic drugs, are shared regionally and internationally. Our common threats require cooperative solutions. We are working with regional countries, and other partners for a comprehensive response to these menaces. Launched in November of last year, the Istanbul Process is gaining momentum. The process was further crystallized at the Heart of Asia Ministerial Conference in Kabul in June, with the prioritization of key confidence-building measures. We look forward to coming together with our Heart of Asia partners in less than a week from now at the next Senior Officials Meeting in this city. Let me now turn to a matter of deep and serious concern to my Government and the Afghan people. The shelling of areas of Kunar province of eastern Afghanistan from across the Durand Line, has led to unprecedented anger and frustration among Afghans from all walks of life. We reiterate our call for an immediate and complete end to these acts, which have taken the lives of dozens of Afghans, mainly civilians, while leaving many more wounded. We remain in close contact with the Government of Pakistan to address this issue, holistically and resolutely. Failure to end such attacks risks jeopardizing Afghanistan-Pakistan bilateral relations, with potential negative consequences for necessary bilateral cooperation for peace, security and economic development in our two countries and the wider region. Afghanistan desires close and fruitful relations with Pakistan, a neighbour with whom we share historical, cultural and traditional ties. As we work to tackle the challenges on the road ahead, let us not lose sight of the historic, transformative successes made thus far. Significant advances in social and economic development are clearly evident. Millions of students, boys and girls, men and women are enrolled in primary and higher education. The majority of Afghans now have access to basic health services; and Afghans are increasingly taking part in the democratic processes, exercising their right to shape their own destiny. 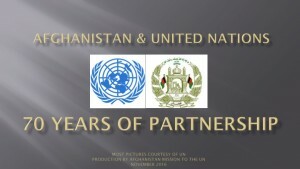 While we have seen such changes unfolding throughout the last decade, we can be proud that today the initiatives underway in regards to development are increasingly Afghan-driven and Afghan-led, with support from the international community.Â This characteristic is crucial for the sustainability of development efforts and for helping Afghanistan realize its full potential. With the next Presidential elections fast approaching, we are fully committed to ensuring a transparent election process, free of any external interference. After over three decades of struggle and suffering, we are moving ahead with Afghanistanâ€™s recovery and renewed strength. Afghans recognize the important indications of our sovereignty. We are determined to further our efforts toward national ownership across the board, as the most effective way to ensure lasting peace and security to our country. Before concluding, allow me to register the Afghan Governmentâ€™s strong condemnation of the recent senselessly provocative acts of insult to Islam and Prophet Mohammad (Peace Be Upon Him). While acknowledging our fellow Muslimsâ€™ right to peacefully protesting these insults, we deplore any violence resulting from such protests, especially against diplomatic representations anywhere in the world. The key for Afghanistanâ€™s future success is cooperation, both for our transition and the Transformation Decade to follow. Building trust and confidence with the international community is the basis for our path to security and prosperity. 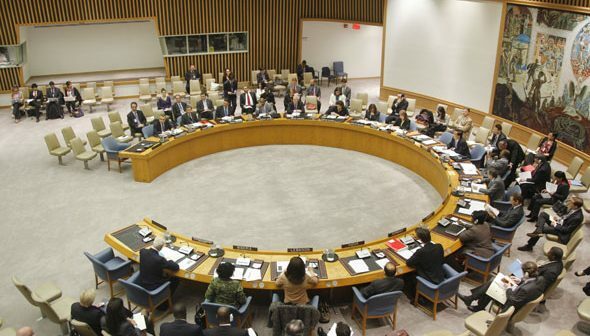 We are pleased that the Security Council is continuing to follow the situation closely, and we are thankful for their support and the support of the United Nations, including on revising UNAMAâ€™s mandate in line with the demands of Afghan sovereignty. With long-term cooperation and partnership in the center of our efforts, we are confident that together we can build a more peaceful, stable Afghanistan.